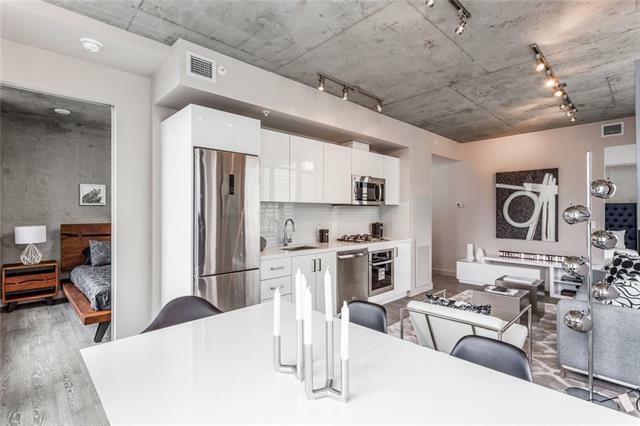 SHOW SUITE OPEN HOUSE - Saturday from 12-5pm :: Brand new in the Beltline: welcome to 6th And Tenth! 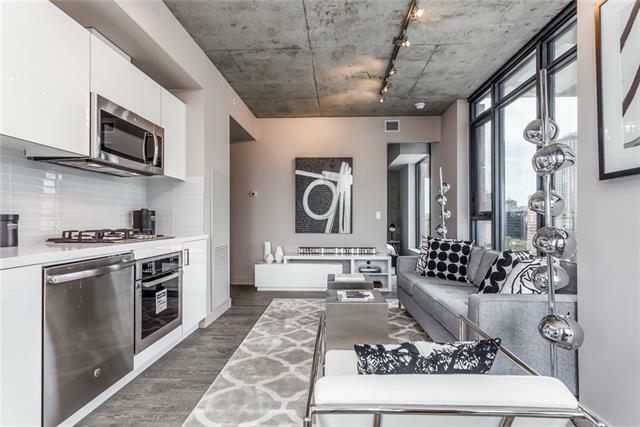 Awe-inspiring architecture, combined with flawless design, equate to this urban masterpiece. An open concept NE corner  bedroom +  bathroom suite flooded with natural light from the floor to ceiling windows. 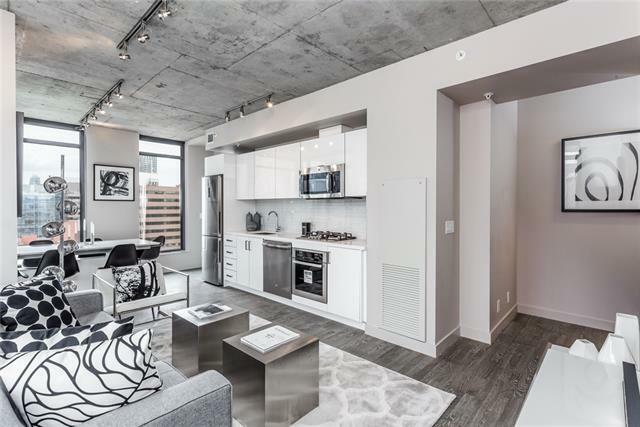 Light + airy engineered wood flooring combined with industrial, loft style exposed concrete ceilings + feature walls: a very New York like feel throughout every unit! Minimalistic yet sophisticated kitchen showcasing ultra modern high gloss cabinetry, tile backsplash, stainless steel appliances with gas range + quartz counters. Two ample sized bedrooms with frosted glass sliding doors, a true space saver. 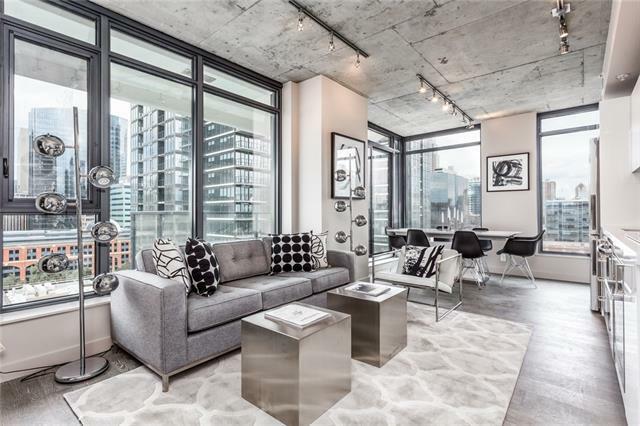 Oversized balcony with wonderful downtown skyline views + equip with gas bbq connection. Building amenities include: concierge, fitness room, owner's lounge, outdoor pool deck + exterior water features. Walk everywhere you need with this prime, sought after Beltline location!